The winds of change are blowing not from Beijing, but from Delhi. Trump should seize the initiative. From the Indo-Pacific to the Mediterranean, a diplomatic transformation is underway. The winds of change are blowing not from Beijing, but from Delhi. President Donald Trump has an opportunity to harness some of that power to help fill the sails of America's global leadership. The White House is expected to unveil its national security strategy some time later this year. There is no question that it will differ from George W. Bush and Barack Obama’s strategies. Bush leaned well into the headwind with a muscular strategy that tried to fix big problems. Obama tried the opposite, disengaging from global conflicts and competition. Trump looks to land somewhere in the middle—disinterested in regime change and nation building, but willing to push U.S. influence forward to safeguard vital national interests. The main thrust of Trump’s strategy will be to reduce the potential for large-scale destabilizing conflicts in parts of the world where those interests are greatest. This will require reducing friction among big powers in Asia, Europe and the Middle East. The new strategy will also pay more attention to Central America, where pressure from transnational criminal networks and unregulated migration stress the U.S. southern border. That place is what could be called the nuclear triangle of Pakistan, India and China. Although Chinese and Indian forces are currently engaged in a standoff, traditionally the most dangerous flashpoint along the triangle has been the Indo-Pakistani border. The two countries fought three major wars before acquiring nuclear weapons, and one minor one afterwards. This doesn’t even include the countless other armed skirmishes and other incidents that are a regular occurrence. At the heart of this conflict, of course, is the territorial dispute over the northern Indian state of Jammu and Kashmir, the latter part of which Pakistan lays claim to. Also key to the nuclear dimension of the conflict is the fact that India’s conventional capabilities are vastly superior to Pakistan’s. Can Japan and India Counter China in the Caucasus? Japan and India’s growing connections to Armenia could form a new factor of influence. The victory of Donald Trump in the U.S. presidential elections led many Asia-Pacific countries to reconsider their foreign policy strategy in the Asia-Pacific region. Today, most of the Pacific Rim countries that had linked their hopes to Washington — including Japan — are in search of additional political options. In this context, the emerging relationship between Japan and Armenia is of much interest now. In September this year, these two states will celebrate the 25th anniversary of their diplomatic relationship. However, the history of Armenian-Japanese ties has much deeper roots. Japan was one of the first countries to recognize the independence of the First Republic of Armenia in 1919. In July 1920, Diana Abgar was appointed the diplomatic representative and consul general of Armenia in Japan. Enjoying great respect among the Japanese elites, Abgar developed a number of programs that were to contribute to the development of political and cultural dialogue between the two countries and peoples. Unfortunately, the geopolitical processes in the region led to the loss of Armenia’s independence and its entry into the Soviet Union. Thus, the first experience of cooperation between Japan and Armenia was short-lived but extremely important. The conclusion of an India-Japan deal for the transfer of ShinMaywa US-2 amphibious aircraft will bear immense strategic importance. When Prime Minister Narendra Modi visited Japan in November 2016, Japan and India concluded an agreement for cooperation in the peaceful use of nuclear energy. Since the visit, it has been readily apparent that Japan-India relations have progressed very quickly. Consequently, one is prompted to ask: What will be the next steps in this relationship? Like the civil nuclear agreement another issue is pending: Japan has long sought a ShinMaywa US-2 amphibious plane deal with the Indian Navy. After the civil nuclear cooperation agreement, this deal is the most significant pending issue between Japan and India. Why is this deal, merely for a rescue plane, such an important part of the agenda for Japan-India relations? It is highly probable that this trade is not merely for the provision of military equipment. It has a broader strategic significance. Below, I offer analysis of the strategic effects of the US-2 deal by answering three questions: What can India accomplish with the US-2; what are the implications of the sale for Japan-India relations; and what is the next step? "Mr Maxwell," said Zhou through his interpreter, "your book has done a service to truth, and China has benefited from that." Zhou called for a glass of mao-tai and offered him a toast. "That moment at the banquet is deeply engraved in my memory, failing as it sometimes is," Maxwell said in an interview with the South China Morning Post. The 87-year-old Australian journalist and historian likes to make jokes about his supposedly fading memory. But he won't let India forget its past errors which, he says, led to the 1962 Sino-Indian war. For nearly half a century he has been going against the grain of Indian collective memory that remembers the humiliating defeat in the month-long border war as an unprovoked act of aggression by a country it considered a friend. This month he pulled a Snowden on India. He exposed a top-secret Indian war report that returned the spotlight to a period in history that still sours public opinion in India and bars normal ties between the two Asian giants. In a specially created blog, Maxwell published a chunk of the secret war report that harshly criticised the highest echelons of power in India at the time for pursuing a flawed strategy of provoking China without the means to handle a backlash. In sidelining justice for peace, Afghanistan has wound up enjoying neither. Earlier this month, former warlord and Afghanistan’s first vice president Abdul Rashid Dostum met with the leaders of two Afghan mainstream political parties to discuss the need to reform the government. Another warlord and Balkh’s governor Atta Mohammad Noor accused President Ashraf Ghani of monopolizing power and political autocracy. Against the the backdrop of a bloody offensive by the Taliban and a political crisis unfolding in Kabul, the key issue of justice has once again come under question. With the warlords now threatening the stability of the government, the Afghan government’s approach –using amnesty to achieve peace — has come to haunt Afghanistan’s transition toward democracy. Amnesty has been a long-accepted strategy to end hostility and forge peace agreements. Providing amnesty for certain crimes is one of the elements of the disarmament process, meant for achieving peace and stability. The importance of amnesty is reflected in Article 6(5) of Protocol II to the Geneva Conventions, which talks about “granting the broadest possible amnesty to persons who have participated in hostilities.” The article, however, doesn’t specify what crimes are entitled to the provision of amnesty. Can the Tiny Afghan Air Force Turn the Tide of the War Against the Taliban and ISIS? KABUL (Reuters) - As the U.S. administration prepares its new strategy for Afghanistan, the Kabul government and its Western allies are working hard to develop an air force that gives government forces the advantage in their war against Taliban militants. The level of equipment, training and assets falls far short of matching the air assets the Americans still maintain in Afghanistan, but billions of dollars are earmarked for the force which is being built up almost from scratch. “That is what will provide the asymmetric advantage to break the stalemate on the ground,” Brigadier-General Phillip Stewart, commander of TAAC-Air, the Resolute Support mission advising the air force, told Reuters. A four-year, $7 billion expansion plan is aimed at training more flight and maintenance crews and increasing the number of aircraft in the Afghan Air Force (AAF). “In 2014, remember, we (NATO and the U.S. military in Afghanistan) had the best air force in the world and the coalition pulled out and we realized we hadn’t grown the Afghan Air Force,” Stewart said. U.S. officers say the aim is to build a counter-insurgency force able to support troops fighting in remote and forbidding terrain with air strikes, supplies and intelligence. ONE of the most significant foreign policy decisions taken by US President Donald Trump during the past six months must be the termination of the clandestine American programme to provide arms and supplies to Syrian rebel groups. Trump simply abandoned a four-year-old secret “deniable” programme by the CIA, authorised by his predecessor Barack Obama, flagging that the US has given up hope of toppling the government of President Bashar Al-Assad. Trump’s decision was first reported last week by The Washington Post, but it is more than a month old and kept confidential presumably because of its sensitivity. Indeed, the decision signifies a parting of ways between the US and its regional allies, especially Israel and Saudi Arabia. More importantly, it “signals the death knell for Western efforts to roll back Iranian and Russian power in the Levant,” to quote Prof Joshua Landis who heads the Centre for Middle East Studies at the University of Oklahoma and is one of America’s highly regarded authorities on the Syrian question. The tiny Himalayan state of Bhutan, portrayed as the happiest place in the world, is now caught in the middle between two Asian giants as Chinese and Indian soldiers stand eyeball-to-eyeball on a narrow, barren patch high up on the mountainous borders where Bhutan and China meet. Rhetoric has been flying thick and fast on both sides, with Beijing reminding India about the “lesson” of 1962 and New Delhi retorting that it is not the same India that lost poorly to China in that short border war 55 years ago. The current situation is portrayed by India’s hyper-nationalistic media in terms of encirclement by China and Beijing’s designs on India. However, for the small Himalayan states and border regions, it’s not China that makes them nervous, it’s India. The Indian press, calling it a border dispute between India and China, colourfully describes the disputed narrow valley leading into India’s northeast as the “chicken neck”. The valley is supposedly the “dagger” pointing at India, alluding to China’s strategic intentions. In reality, the issue does not have much to do with the border, and definitely not the China-India border. The area under contention, between Bhutan and Tibet, has never been cartographically demarcated. An Indian national flag is flown next to the Chinese national emblem during a welcome ceremony for visiting Indian officials outside the Great Hall of the People in Beijing. India says it is ready to hold talks with China with both sides pulling back their forces to end a standoff along a disputed territory high in the Himalayan mountains. China is expanding its influence across the Himalayas in India’s neighbourhood and is bound to be a “threat” in the coming years, a top Army general said on Tuesday. Lieutenant General Sarath Chand, the vice chief of the Indian Army, also castigated Pakistan’s Army for targeting civilians in cross-border shelling, stressing they had “stooped so low” as to fire at schools. “This is not what the Indian Army would do,” the vice chief said at the inaugural session of AMICON 2017, a two-day conference organised by the Army and the Confederation of India Industry(CII). Chand also downplayed Army chief Bipin Rawat’s comment that the Indian Army was “ready for a two and a half front war”, stating that Gen Rawat “never meant to whip up a war hysteria” but was merely stating that India needed to pay more attention to its security. Last month, the Chinese military had described Rawat’s remarks as “irresponsible”, and asked him to “stop clamouring for war”. China, manifestly formidable, is still typically analyzed as a “rising power” or an “emerging power,” one challenging “established powers.” Connoted by these terms is a ridiculously unhistorical image: China-as-parvenu. A longer look back may better name—and explain—what the world now sees. Last month, a Russian jet flew within five feet of a U.S. reconnaissance plane near the Baltic Sea. According to U.S. officials, the Russian Su-27 “rapidly” approached the U.S. RC-135 plane and acted “provocatively” by performing “unsafe” maneuvers. Russia’s Defense Ministry, for its part, blamed the U.S. plane for “making a provocative turn towards the Su-27” while being escorted away from Russia’s borders. Whatever the truth about this incident, it serves as a reminder of Moscow’s ceaseless belligerence toward NATO. Earlier this year, NATO reported an increase in European Quick Reaction Alert aircraft ‘Alpha’ (Air Policing) launches in response to Russian military aircraft from 400 (of a total of 480) in 2014 to 780 (of a total of 807) in 2016. Admittedly, a change in the way that NATO records such events accounts for some of this increase. But there was, nevertheless, a marked increase in Russian military air activity being monitored and responded to across NATO’s two Combined Air Operations Centres (CAOCs) in Europe—at Uedem in Germany, which covers northern Europe north of the Alps, and at Torrejon in Spain, which covers southern Europe south of the Alps. In April 2014, a few months after Russian troops seized Crimea, a pro-Russian uprising broke out in Eastern Ukraine centered on Donetsk Oblast. The province had a substantial ethnic Russian population which supported the pro-Moscow government of Pres. Viktor Yanukovych, who fled the country that February after the Euromaidan protests. Though a significant minority in Eastern Ukraine had expressed support for reunification with Russia in the past, prior to 2014 there had not been any major episodes of violence. That all changed when pro-Russian separatists began seizing police and military posts to loot them for weapons, then organizing into armed “People’s Republics” centered around the cities of Luhansk and Donetsk. In mid-April, the Ukrainian army launched its first counter-offensive, with the “aluminum tanks” of the 25th Airborne Brigade leading the way. Clashes in the so-called “Anti-Terrorist Operation” at first involved minimal loss of life, but soon escalated into a full-scale conventional war with tanks, artillery, attack jets, drones and anti-aircraft missiles, culminating in a poorly-disguised intervention by Russian tanks on behalf of the separatists in August. Is Russia Really with Assad in Syria? Moscow appears to be preventing a total Assad victory in a bid to boost its international standing. With yet another round of Geneva talks on Syria concluded without meaningful results, Russia’s parallel diplomatic maneuvers continue to overshadow the UN’s efforts. Yet Moscow’s efforts—particularly its “de-escalation plan” to create safe zones for opposition groups backed by Turkey, Gulf states, the U.S. and Europe—are quite curious. Russia’s plan appears to be directly at odds with the stated objective of its client, Syrian President Bashar al-Assad, to reclaim “every inch” of the country. In trying to enact safe zones, Russia may in fact be deliberately preventing a total victory by Assad. Russia, it seems, is not simply allowing external actors to keep a foothold in Syria; it is encouraging them to do so. Keeping global and regional powers at the table allows Russia to arbitrate their interests in Syria’s future and leverage its influence over Damascus. Driving competing powers out and securing the entire country for Assad would squander an opportunity for Moscow to elevate itself further on the international stage. Since the 1970s, the Russian military has possessed a diverse fleet of armored vehicles it can drop out of airplanes … with parachutes, of course. The BMD family of infantry fighting vehicles is armed to the teeth with autocannons, machine guns and anti-tank missiles. And despite being very much a product of the Cold War, the little fighting vehicles have continued to see combat — and the new BMD-4 variant is even packing a 100-millimeter gun. How did an airborne assault tank even come about? Following World War II, the Soviet Union expanded its elite air landing forces — a separate branch of the military known as the VDV, which at its peak consisted of 15 Guards Airborne divisions and 13 independent brigades. Soviet strategists foresaw deploying the VDV far inside enemy territory as part of their “deep battle” doctrine, with different airborne units dedicated to strategic, operational and tactical missions. For example, an operational airborne regiment or division might drop 100 to 300 kilometers behind enemy lines to capture river crossings, enemy command centers, logistical bases and nuclear weapons facilities. WASHINGTON, July 22, 2017 — The National Security Agency has never seen the field of signals intelligence change as rapidly as it is right now, said agency director Navy Adm. Mike Rogers at the Aspen Security Forum in Colorado today. Washington Post columnist and best-selling author David Ignatius interviewed Rogers and Robert Hannigan, the former director of Britain’s Government Communications Headquarters, on the state of signals intelligence. The measure of effectiveness for signals intelligence agencies is the ability to generate value, the admiral said. “If we focus on generating value for the citizens of the nation we defend [and] doing it within a legal and policy framework, that generates confidence in the citizens we support,” Rogers said. The signing of the Inter-Governmental Agreement (IGA) between India and France for the off-the-shelf purchase of 36 Rafale MMRCA fighter jets for the Indian Air Force has finally brought the curtains down on the long-drawn-out negotiations between the two countries. To the IAF, deeply worried by its depleting force structure, the conclusion of the Rafale deal will bring welcome, albeit insufficient, relief. The air force is already at a low of 32 squadrons, as against its requirement of 45 squadrons. The mismatch between obsolescence and modernisation, created by India's archaic acquisition process, has plagued the Indian Air Force for the past three decades. Till the 1990s, the IAF had been the critical factor in the Indian military, maintaining a qualitative edge over the military forces of Pakistan and China. This was set to change as China embarked on a rapid modernisation of its forces, the PLAAF in particular, with a consequent impact on the PAF as well. On the other hand, by the late 1990s, the IAF was struggling with huge operational issues stemming from factors such as technological obsolescence, ageing fleets, poor reliability and high maintenance costs. On July 15, troopers of the Jammu & Kashmir police, the CRPF and the army's Rashtriya Rifles closed in on three Jaish-e-Mohammed terrorists hiding in a cave in the Satoora forest, in Tral, south Kashmir. All three terrorists were killed after a fierce firefight lasting over 11 hours. After the fight, AK-47 toting security personnel entered the cave to recover the terrorist's weapons, three AK-47s and 14 field magazines-bringing to a close yet another encounter. If few noticed the intriguing fact of both sides using the same assault rifle, it was because this has ceased to astonish. The AK-47 is a legendary weapon among soldier and guerrilla alike because of its rugged simplicity and effectiveness it has just nine moving parts. Its continuing use by security forces is also an indictment of the army's failure to equip soldiers with a modern assault rifle kitted with force multipliers like day and night sights (which can be used irrespective of light conditions), 'red dot' sights to pinpoint targets and underbarrel grenade launchers, which can toss explosives twice as far as hand-thrown grenades. (The majority of in-service INSAS and AK-47 rifles lack these.) Army officials also bristle at the glitch-prone INSAS's production quality, the breakability of its plastic magazines and its poor metallurgy. Much attention is being given in the development of the U.S. joint concept of Multi-Domain Battle (MDB) to the implications of recent technological advances in long-range precision fires. It seems most of the focus is being placed on exploring the potential for cross-domain fires as a way of coping with the challenges of anti-access/area denial strategies employing long-range precision fires. Less attention appears to be given to assessing the actual combat effects of such weapons. The prevailing assumption is that because of the increasing lethality of modern weapons, battle will be bloodier than it has been in recent experience. I have taken a look in previous posts at how the historical relationship identified by Trevor Dupuy between weapon lethality, battlefield dispersion, and casualty rates argues against this assumption with regard to personnel attrition and tank loss rates. What about artillery loss rates? Will long-range precision fires make ground-based long-range precision fire platforms themselves more vulnerable? Historical research suggests that trend was already underway before the advent of the new technology. In 1976, Trevor Dupuy and the Historical Evaluation and Research Organization (HERO; one of TDI’s corporate ancestors) conducted a study sponsored by Sandia National Laboratory titled “Artillery Survivability in Modern War.” (PDF) The study focused on looking at historical artillery loss rates and the causes of those losses. It drew upon quantitative data from the 1973 Arab-Israel War, the Korean War, and the Eastern Front during World War II. A little more than a year after she married, Tiffany Smiley walked into a hospital room to tell her husband he was blind. A car bomb in Mosul, Iraq, had sent shrapnel into Army Maj. Scott Smiley's eyes as he was serving as an infantry platoon leader and ultimately led him to this bed at Walter Reed Army Medical Center. He had been deployed six months - six months that Tiffany endured catching glimpses of him in reports from an embedded Fox News journalist. She'd watch and wonder what reality she'd fallen into as explosions boomed in the background of the shots. When she wasn't watching the news, Tiffany was working as a nurse. But as she went about life in the US, it felt like no one else was paying attention. "At the time, I was shocked," she told Business Insider. "We are at war - and people don't even know or care." Her experience isn't uncommon. The US military has become more isolated from civilian life than at any period in the country's recent history. Today, less than half of 1% of the US population is active duty. In 1991, that percentage was twice as high, at roughly 0.8%. In 1969, at the peak of US involvement in Vietnam, almost 2% of the population was active duty, and in 1945, during World War II, it was almost 9%. The collaborative space at the Army Research Laboratory's cyber-research analytics laboratory is expected to become increasingly important as wars shift to the cyber realm, Army officials said on Friday. July 21 (UPI) — A new laboratory that provides access to sensitive, live cybersecurity data has been opened by the U.S. Army Research Laboratory, the Army announced on Friday. Access to the Army Cyber-research Analytics Laboratory, or ACAL , and it’s data will be the Department of Defense’s industrial and federally funded partners, including universities. The Army Research Laboratory said the facility in Maryland opened earlier this week. It houses three distributed computation clusters, the largest of which is configured with over two petabytes of raw storage, over 20 terabytes of RAM, over 1,500 CPU cores and 10- to 40-gigabyte networking. ACAL relies on technologies most familiar to researchers, analytic developers and data scientists, such as Hadoop, Elasticsearch, R, Spark, Storm, Accumulo and Kafka among them. General Keith Alexander, the former NSA director, shared some smart thoughtsthis week about the line between espionage and cyber war. But it was the words of another famous military man, retired General Stanley McChrystal—who likewise spoke at Fortune's Brainstorm Tech event—that left the biggest impression on me. McChrystal, whose stellar career ended in scandal in 2010 over public criticism of his superiors, spoke candidly to Fortune's Adam Lashinsky about picking up the pieces to rebuild a life of pride and meaning. His redemption came about thanks to a one-day-at-a-time approach and the support of his wife, but that's only part of it. Another huge reason for McChrystal's ability to move forward, I suspect, lies in his worldview rooted in public service and community. He acquired this perspective in the military but, as McChrystal noted, other institutions—such as the Peace Corps and Teach for America—can also imbue people with a similar sense of purpose. Allegations that Russian hackers stole emails from top Democrats in the United States, in an effort to influence the results of America’s presidential election, are now more than a year old. 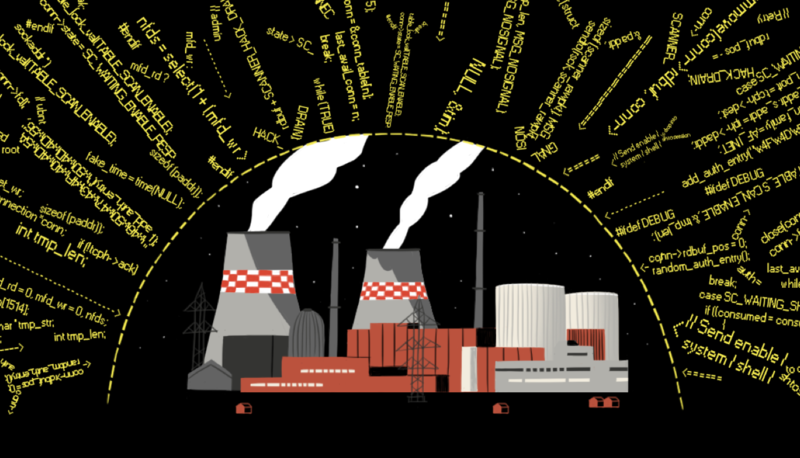 Last November, Meduza published a detailed look at the operations of Russia’s cyber-soldiers. But a country’s cybersecurity is only as good as its cyber-defense, which is why Meduza’s special correspondent Daniil Turovsky returned to the subject, interviewing dozens of cybersecurity experts and studying different documents and reports, in order to learn what cyberthreats most concern the Russian government, and what Moscow is doing to protect the country. Kirill (whose name has been changed at his request) first got interested in hacking websites when he was 13, in the early 2000s. Back then, his computer was too weak to play the latest games, so he needed to find something else to do. One of his classmates, meanwhile, had started creating websites. During lessons, his friend would pass him a notebook with design sketches, and Kirill would write out the HTML code by hand. “These limitations forced us to be inventive, and it wasn’t long before I got interested in hacking,” the programmer recalls today. The idea of a hostile country hijacking computers deep inside the United States sounds frightening. But is it really so different from what countries—including the U.S.—have always done in the name of espionage? That was a question posed to Gen. Keith Alexander, a former director of the NSA, at Fortune's Brainstorm Tech conference on Tuesday in Aspen, Colo.
Alexander responded by saying there's a clear distinction between countries using computers to spy and to attack. "It’s intent. Cyber war is to inflict damage while spying is to learn secrets," he said, adding that every nation engages in cyber-spying. As a examples of computer activity that rises to the level of cyber war, Alexander pointed to the alleged attack on Sony by North Korea, and to attacks in Ukraine aimed at the company's economy and infrastructure. The distinction between spying and cyber war is important since the latter has the potential to trigger military retaliation, or invoke responses under treaties like NATO, while espionage is considered less serious. Russian meddling in elections, U.S. sabotage of North Korean missiles and shadowy hacker groups stealing secret NSA data: these acts of aggression were not carried out with conventional weapons like guns or bombs, but rather were the result of actions in the abstract world of cyberspace. 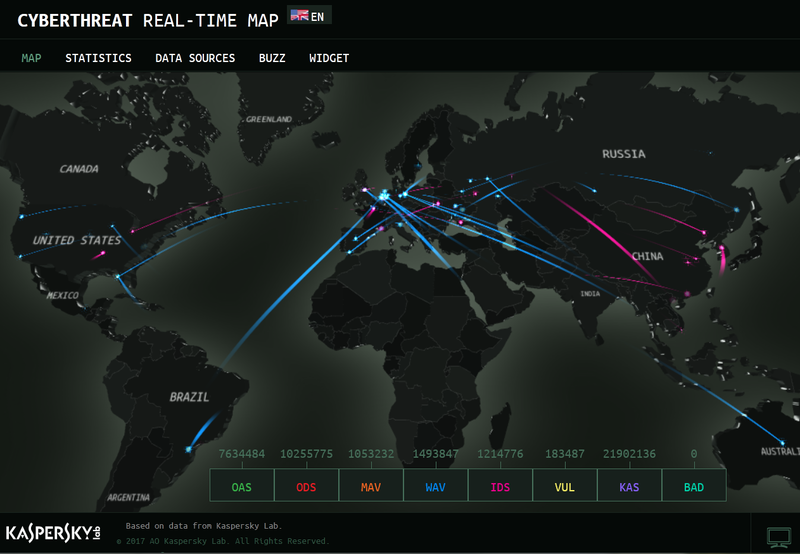 Cyberwar is an increasingly significant threat on the world stage. It consists of offensive and defensive actions, such as cyberattacks, carried out by one entity against another’s computers or networks. These attacks can be aimed at gathering intelligence, disrupting computer function, or causing damage to critical infrastructure such as electric power grids. Nations develop cyberweapons to achieve their objectives in cyberwar engagements. These weapons consist of software, known as malware, developed to perform cyberespionage such as surveillance or theft, or to carry out cyberattacks directly. States that engage in cyberwar typically seek to obscure the nature and origin of the attack to hide their involvement by designing malware that conceals itself from protection mechanisms such as virus scanners. DATA BREACHES AND exposures all invite the same lament: if only the compromised data had been encrypted. Bad guys can only do so much with exfiltrated data, after all, if they can't read any of it. 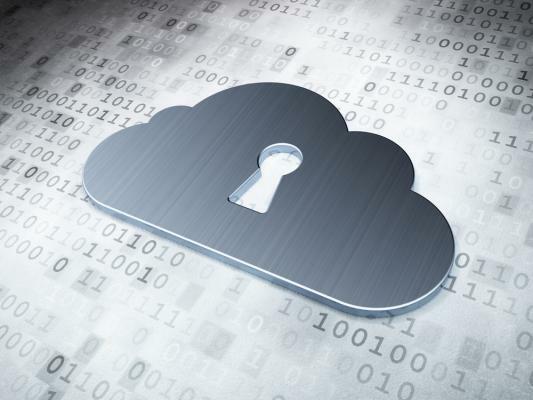 Now, IBM says it has a way to encrypt every level of a network, from applications to local databases and cloud services, thanks to a new mainframe that can power 12 billion encrypted transactions per day. The processing burden that comes with all that constant encrypting and decrypting has prevented that sort of comprehensive data encryption at scale in the past. 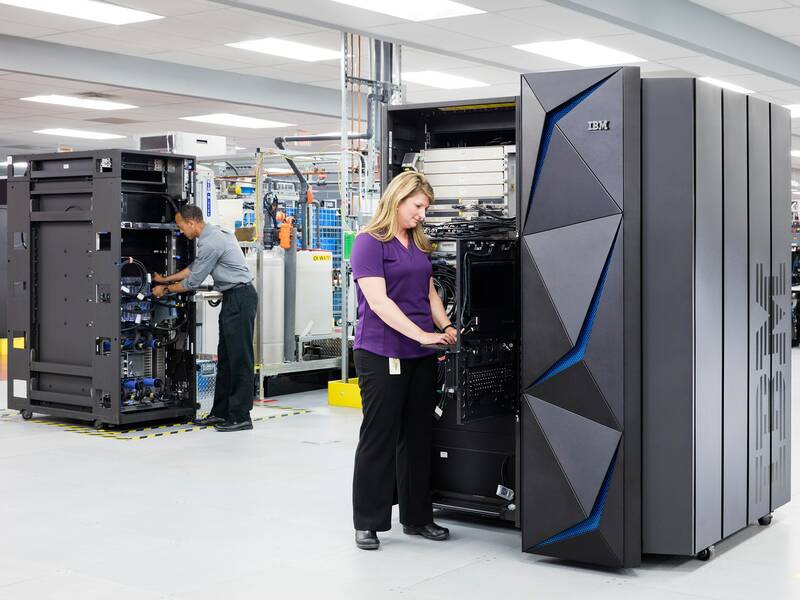 Thanks to advances in both hardware and software encryption processing, though, IBM says that its IBM Z mainframe can pull off the previously impossible. If that holds up in practice, it will offer a system that's both accessible for users, and offers far greater data security than currently possible. According to IBM, hackers have compromised around nine billion digital data records since 2013, a third of them medical. A meager four percent of that data was encrypted, though, meaning those credit card numbers, user names and passwords, and social security numbers passed easily onto dark-web criminal exchanges.